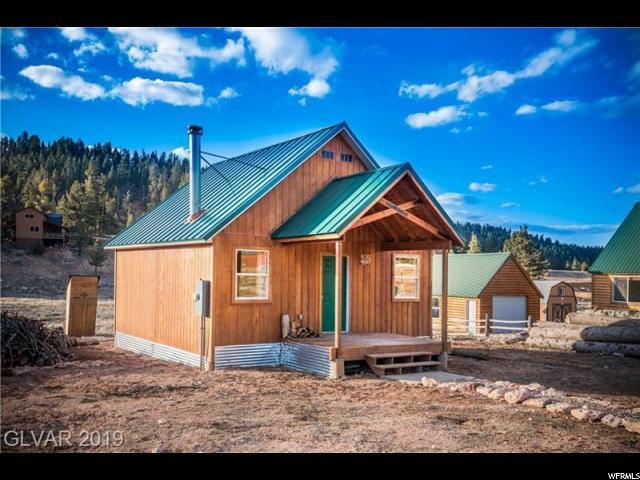 All Duck Creek Village homes currently listed for sale in Duck Creek Village as of 04/21/2019 are shown below. You can change the search criteria at any time by pressing the 'Change Search' button below. If you have any questions or you would like more information about any Duck Creek Village homes for sale or other Duck Creek Village real estate, please contact us and one of our knowledgeable Duck Creek Village REALTORS® would be pleased to assist you. 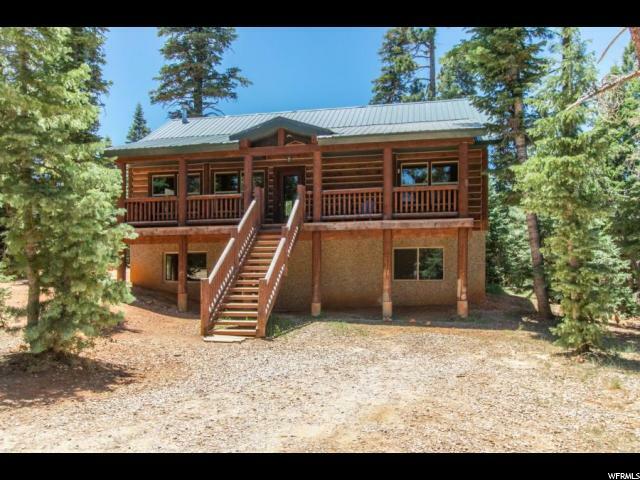 "120 acres & a newly remodeled cabin on Cedar Mountain! 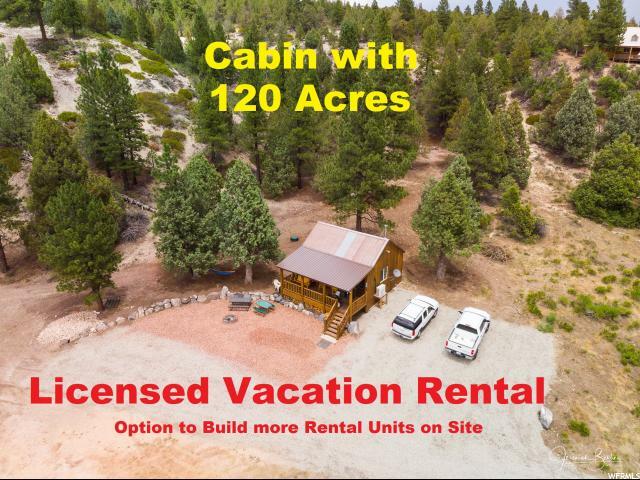 Cabin is a short distance from 3 National Parks (Bryce, Zions, Grand Canyon) These lots can be sub-divided into 10-15 acre parcels.Cell phone service, year round access, would be excellent for hunting ranch, recreation property, livestock & much more. There are enough water shares for 3 cabins (.75 shares)This listing is for two adjoining parcels 8-6-28-2(40 Acres) and 8-6-28-7(80 Acres). The property has endless uses. 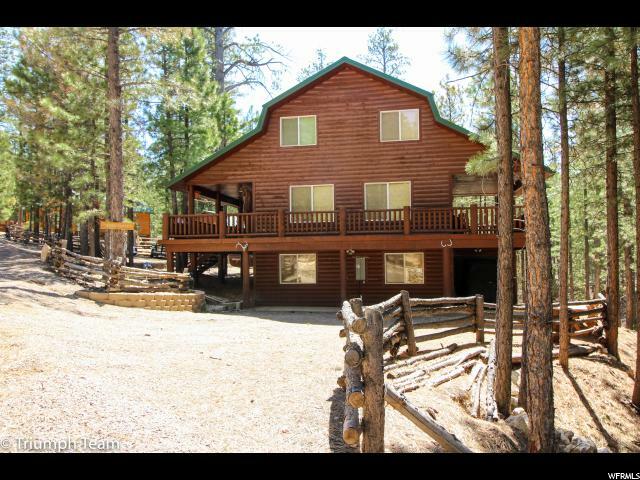 It's very private, it has meadows, views, 4-wheeler trails and/or mountain biking trails. It has a pond on property that would be easy to fill back up. It has great hunting, incredible views, and much more! It's only 1 hour and 45 minutes from St. George, UT. Don't miss out on this opportunity. Information deemed accurate but not guaranteed. Buyer to verify all information!" "Modern turnkey cabin complete with stainless steel appliances & fully furnished. 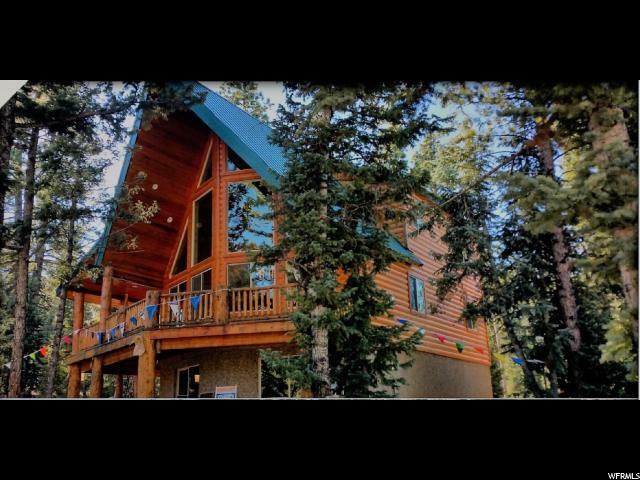 This beautiful cabin has an open concept kitchen with a deck right off the dining room for BBQ's. Across from the large kitchen island is a stone gas fireplace that reaches from the floor to the top of the vaulted ceilings. The living rooms are great for entertaining & relaxing on the main level and basement level. The master bedroom has a master bathroom with a large jetted tub & a walk-in closet. There is another bedroom and full bathroom on this level. On the basement level there are 3 more bedrooms, a bathroom & a laundry room. 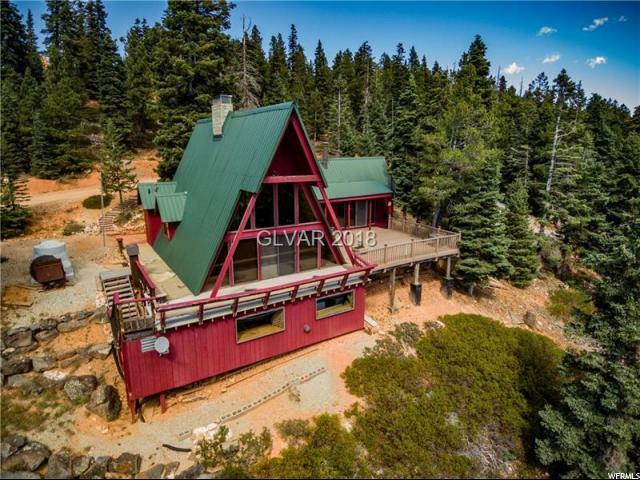 This property has year round access & is close to Duck Creek Village restaurants & shops. Outside there is a covered porch, & a fire pit with log benches to sit on. RV parking too!" "This Rustic Elegance Chalet style w/open concept was built for durability, low utilities, comfort and style. Year round access and utilities to this quiet street & close to the heart of the village. First floor opens to a family/entertainment room with porcelain floors, t&g walls, mahogany cast iron gas stove, kitchenette/wet bar with bronze accent lighting and fixtures. Full bath with stone tile. All bdrms have upgraded stain resistant carpet. Great room has 25 ft. ceilings with custom t&g and sealed travertine floor, stone gas fireplace. Kitchen has granite counters, Hickory Cabinets, Upgraded LG Appliance pkg with walk in pantry. this floor has a bdrm, full bath & covered wrap around deck. Top fl, has private master off open loft w/ log railing, views to great room and the forest. This floor also has a full bath and second bedroom and a large covered deck with piped-in gas Weber BBQ and separate balcony. The top floor has the private master off of an open Loft with log railing offering views into the great room and the forest. this master has a walk-in closet, bathroom with double vanities and custom tile and private balcony. This beautiful stone, wood and bronze accent cabin would be a wonderful family cabin for years to come. Moen fixtures, smart code locks, outdoors solar lighting, double pane windows, approved firepit, led lighting, forced air heating, 2 gas fireplaces." "This Log Cabin was built using Middleton Timber D-Log Cabin Kit. Cabin is offered furnished. The outside walls are rounded on both sides. The cabin has a metal roof. Main level outside has two sides of deck upgraded from 8-10' widths. The kitchen features granite countertops, custom cabinetry, a large dining and living room space with vast views of the living area. Vaulted ceiling adds height to the room. The loft is spacious with room for a tv area and sleeping areas. The basement is partially finished. On-demand hot water, city water will be hooked up prior to closing, and power supplied by solar and generator. Owner has made sure cabin is sealed & Maintained." "Majestic & commanding panoramic views of Strawberry Point! This 2 bedroom/2 bath A-Frame Cabin boasts lots of open space on the main level with open concept in living room, dining area & kitchen! Master bedroom addition (1988) has it's own wood burning stove, private bath & sliding glass doors onto the deck. Kitchen features a vintage Wehrle Cast Iron Stove. Living room features a floor to ceiling open hearth fireplace. 2nd bedroom is in loft. ATV Shed included with sale." "Located in Swains Creek, Duck Creek Village, UT, year round access with snow plowing (winter) and dusting (spring/summer). Single level cabin featuring 2 bedrooms, 3/4 bath, kitchen open to living room & a wood burning stove. Cabin sits on .58 acres with Swains Creek flowing through the land. Recently finished and never lived in. 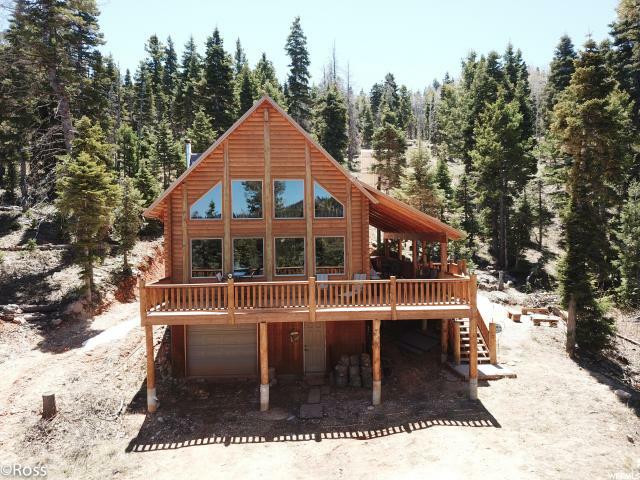 Swains Creek Pines is centrally located near Bryce, Zion, Brian Head Cedar Breaks and Duck Creek Village. Fishing!"